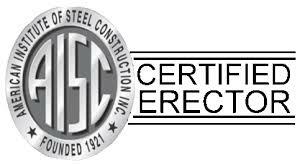 As an AISC certified Erector, the cHc field staff has the necessary skills, training, and commitment required to exceed project specifications. All of our welders are certified to the standards of the American Welding Society. Our field crews are quickly mobilized to service your most pressing needs. These craftsmen perform field fabrication and installation on projects ranging from surgical rooms to industrial power plants.